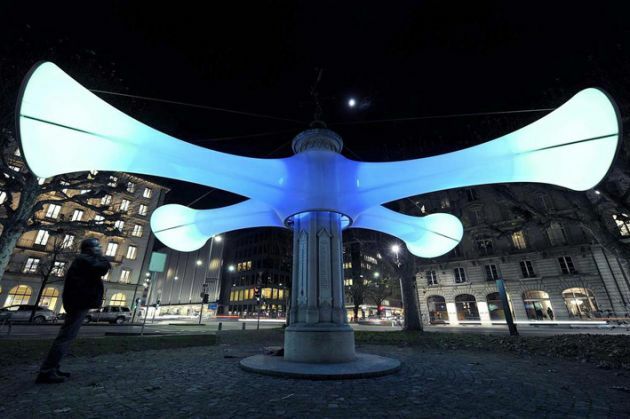 Last weekend, the installation “Lighttube” by German architect Marco Hemmerling was introduced at the 9th annual festival Arbres et Lumières in Geneva, Switzerland. The concept for the illumination at Square Pierre Fatio in the city center is based on two major aspects of spatial perception. 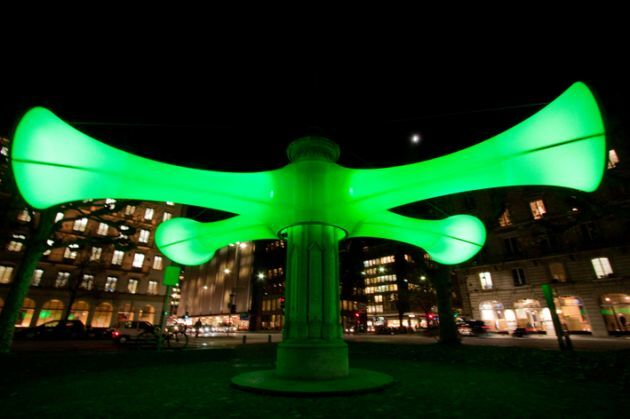 In first place the installation amplifies the relation between the central column and the surrounding trees. 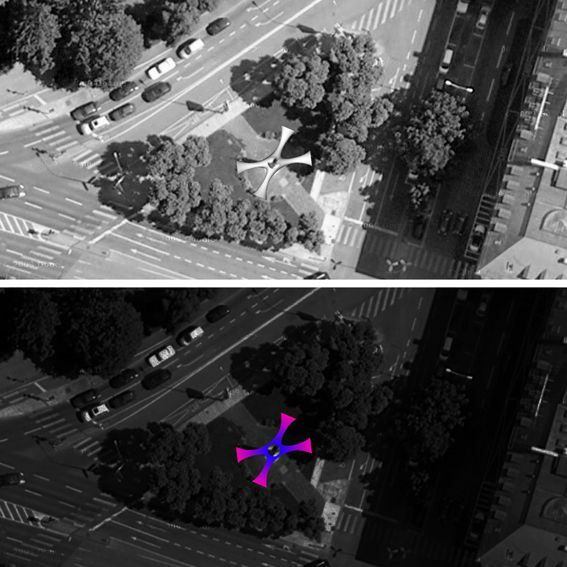 By reinforcing the correlation of the trees with the centre of the square, the light membrane structure focuses on the connection of the vertical elements of the site. The second aspect of the design aims to an added value, which is brought in with the new element of the lighttube. Even though being a connector, the lighttube manages to establish its own quality, which formally derives from the evolutionary principle of growth. The abstract idea of ramification is transformed into an integral shape that puts the trees as well as the column and the space in between in a new light. 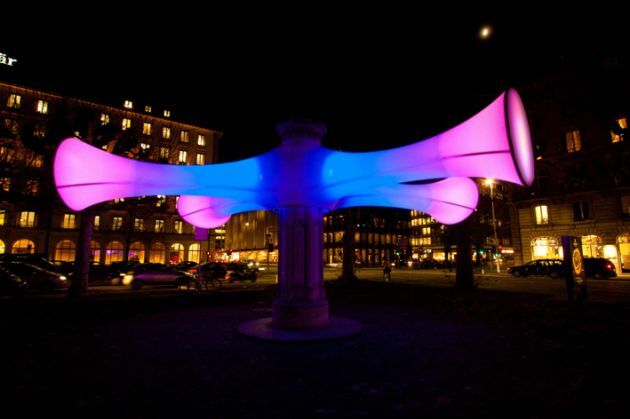 The light concept incorporates a constant change of color for the illuminated trees and the membrane structure to support the idea of evolutionary transformation and generates at the same time an ever-changing perception of the scenery. 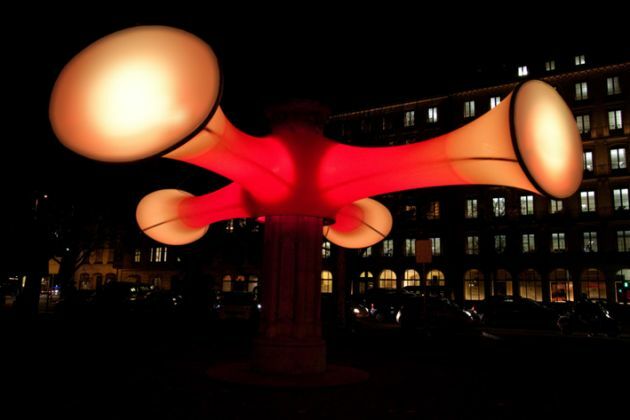 Next to other installations, lighttube will be exposed in Geneva until January 3rd. Visit Marco Hemmerling’s website – here.